The Jolt Awards recognize those products, books, and websites that have "jolted" the industry in the past year. Winners are selected by a panel of judges consisting of industry insiders, columnists, and technology leaders. 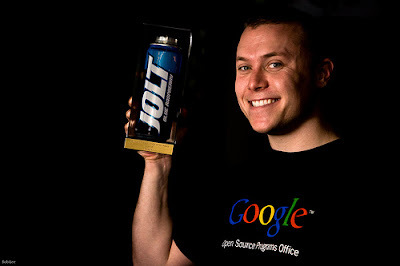 Past Jolt winners include Josh Bloch for his book Effective Java, Google Groups, and Java 2, to name a few. Guice makes Java code easier to write, change, unit test and reuse. In a word: agile. Once you've tried Guice, you'll wonder how you lived without it. If you're interested in learning more, check out our introductory tech talk and the Guice home page. One More Week to Apply to Google Summer of Code! LugRadio Live Comes to the U.S.A.